The next Introduction Course will begin on the 18th March 2019. If you would like to book for this course then please use the PayPal link at the bottom of this page to register. This Introduction to Biodynamic Agriculture course is a distance learning course designed for anyone who is interested in biodynamic agriculture and wants to know more. All you need is a few hours a week, an internet connection, and a good dose of curiosity. Whether you are interested in eating high quality food, growing plants and raising animals in collaboration with nature, drinking natural wines or savouring and supporting the soil, this course will introduce you to the principles of biodynamic agriculture, which seeks not only to collaborate with and sustain nature but to go beyond that to regenerate both agriculture and ecology. This four-week, £50 course offers everyone an opportunity to understand biodynamic agriculture. The four weeks will include live (and recorded) seminars as well as plenty of resources (videos, reading, images and links) so that students can explore at their own leisure the aspects of biodynamic agriculture that interest them. So if you are biodynamically curious, keep reading! We have divided the course into four segments, each with a different perspective on biodynamic agriculture. For each week there will be a central seminar which will be live (for those who can join live, recorded for those who cannot), and then there is further reading, videos and discussion forums to encourage further questions and more interaction. How is biodynamic agriculture situated in the world now? Where are there biodynamic farms and what do they produce? Where did biodynamic agriculture come from, what does it mean and how is it placed in the history and wider context of agriculture? How do you know something is biodynamic? 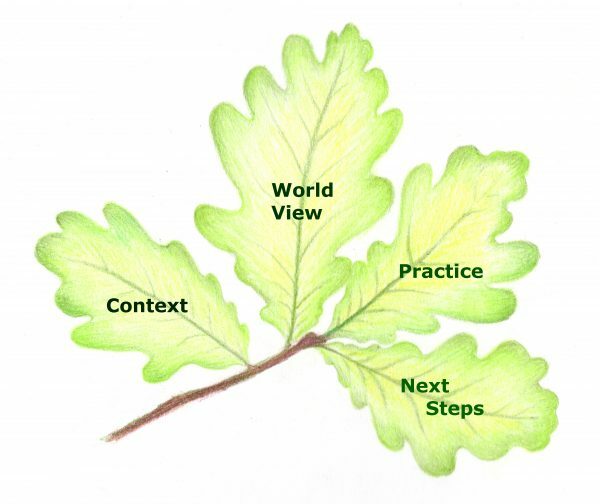 How can our understanding of nature inform our practice in agriculture? Does it matter how we think about nature, culture, food and vitality? What are the principles of biodynamic agriculture? What is the understanding of nature that informs biodynamic agriculture? What is a ‘farm organism’? What are the biodynamic preparations? What is a sowing calendar and how does it work? How do farmers work with biodynamic principles in different situations around the world? How can you move from interest to engagement?